Peru has always piqued our interest, with towering whitewashed mountains, the Amazon rainforest, and more ancient history than we Canadians know what to do with. 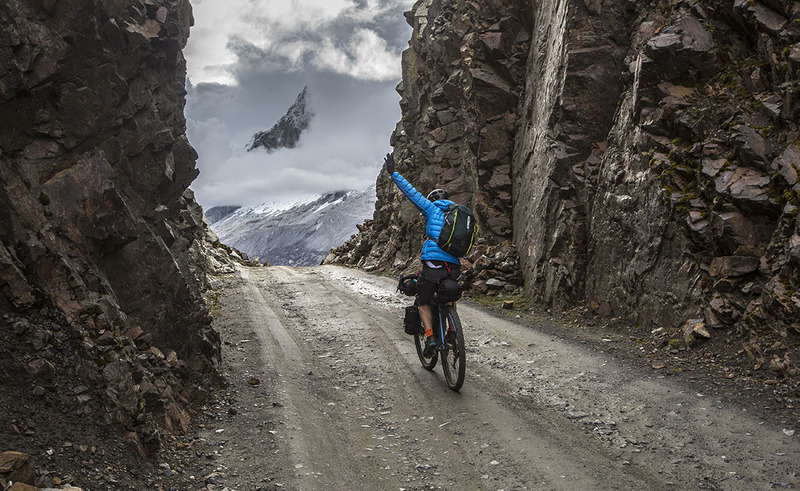 However, after seeing a few pictures of bikers traveling down gravel roads in the Cordillera Blanca, the High Andes of this South American country quickly became a must-do. My husband and I have bike packed in coastal areas near our Vancouver, B.C. home and in the deserts of Moab, but we only dreamed of taking this fun and dynamic mode of travel to mountains over 20,000 feet. We booked our flights and began the planning phase: accommodations, transportation, gear (and more gear), immunizations, bike tuning, training, guidebooks, and maps. The preparation paid off and everything fell into place on our trip—all we had to do was point our bikes in the right direction and pedal. Every day, our minds were blown by the dramatic vistas, but what surprised us most was how much we also enjoyed the valleys. Small pueblos with beautiful plazas, brightly dressed Quecha women tending their sheep, cows, and burros, and children delightedly shouting “Gringa! Gringo!” as we rode by. 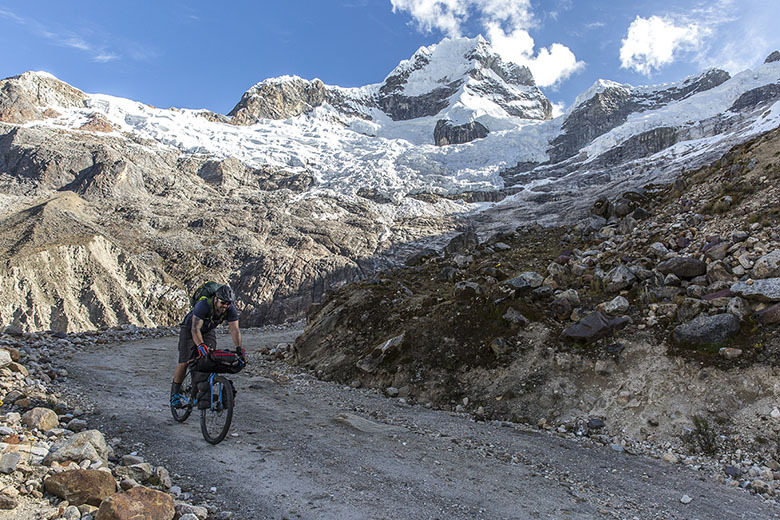 Brian and I spent a great deal of time researching roads, looking at photos of stunning peaks, and entertaining the many options for bikepacking routes in the Cordillera Blanca. We eventually settled on the Huascarán Circuit, a circumnavigation of the Cordillera Blanca’s tallest mountain and a route that takes bikers over two of the most dramatic road passes in the world. 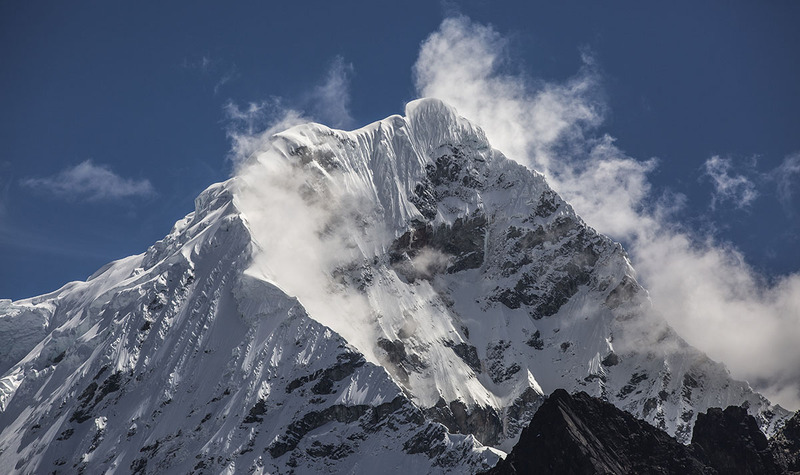 The Cordillera Blanca has more than a dozen summits that exceed 20,000 feet and almost 90 that exceed 16,000 feet. 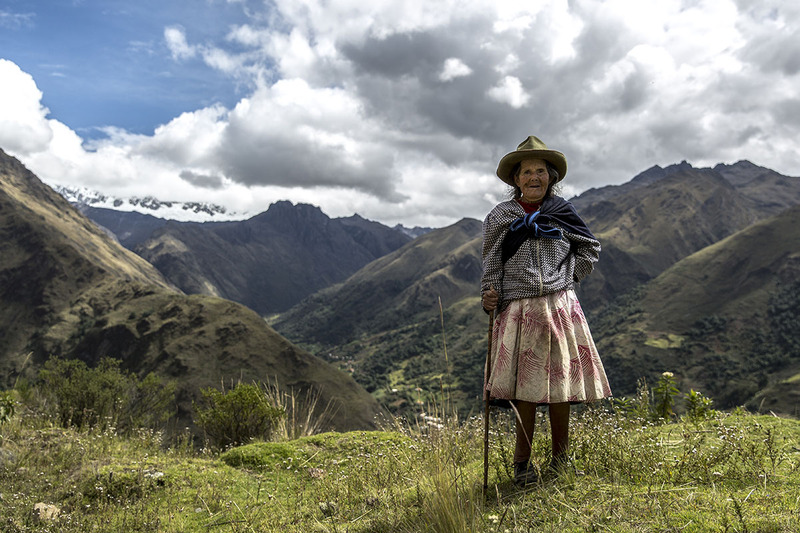 Within this cordillera of giants, Huascarán dominates its neighbors at 22,205 feet. Circling this massive peak and observing the life taking place on each of its sides turned out to be an absolutely incredible journey. We disembark from the station wagon taxi in Carhuaz, a small town 21 miles north Huaraz, to what appears to be a random Wednesday morning parade complete with a cacophonous marching band. The fanfare for our arrival is slightly overwhelming, and makes us even more eager to pedal deep into the serenity of the mountains. After convincing a vendor at the market that we only want 6 loaves of bread instead of 24, we load our bikes, confirm with locals that we are headed in the right direction, and start the 7,400-foot ascent to Punta Olympica. We leave town around noon—a little later than desired—and the midday sun beats down as we pedal uphill for the next four hours. We stop occasionally to apply sunscreen and grab cold drinks (incidentally, energy drinks are much sweeter in Peru than in Canada, and the Powerade is even slightly carbonated), and in 15 miles and 3,000 feet of elevation, we reach the Huascaran National Park (PNH) ranger station. Crossing into the National Park is spectacular—the air cools, wildflowers become abundant, and the glacier-clad peaks of Ulta, Contrahierbas, Huascarán, and Chopicalqui dominate the landscape. The hot climb quickly melts from our memories, and we delight in the dramatic scenery around us. 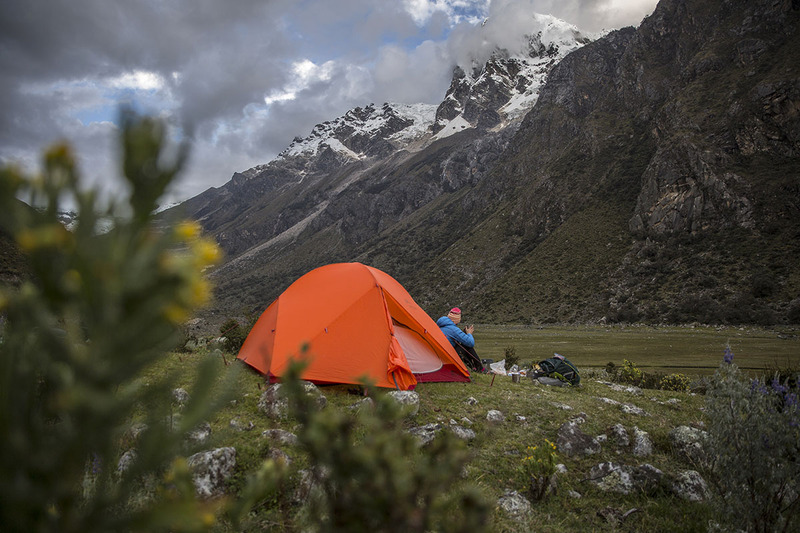 Wild camping is permitted in Huascarán National Park, but it’s highly recommended that campers remain out of sight of the road, for etiquette as well as safety. We set up our camp about three miles into the park in a beautiful pampa (grassy plateau), next to one of many herds of cows. We are close to a stream for water access, yet hidden from the road by stubby trees. At this point, roughly 12,800-feet above sea level, the reduced level of oxygen is noticeable, and we are happy to settle in for the night beneath an upside-down Big Dipper and incredibly bright Milky Way. 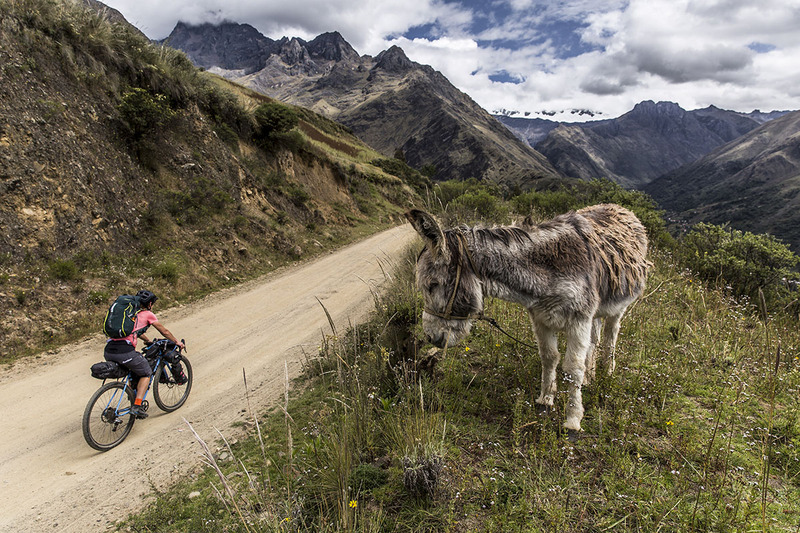 Awakened by a screaming donkey, we set our sights on the remaining nine miles of switchbacks that will lead us up 3,000 vertical feet to Punta Olympica. There is now a tunnel—the highest road tunnel in the world—that cuts off the last 700 feet of elevation for cars, but cyclists are still able to take the rough gravel road through the spectacular pass. Views of the giant peaks and glaciers become more and more spectacular as we ascend—with every switchback we laugh and hoot with delight. As I sing “the pedals on the bike go round and round,” the mountains loom larger and larger until they seem almost close enough to touch. We have to remind ourselves that the peaks that appear to be at eye level are 22,000-foot giants. As we reach the pass, the feeling of accomplishment is incredible. Earlier in the morning, we questioned whether our bodies would allow us to get this high without complaining. The views from the top, and those that greet on the other side of the pass, add to the reward. We high-five and bundle up for the long awaited and well-deserved descent. The 19 mile, 5,000-foot descent to Chacas is exhilarating and as awe-inspiringly beautiful as the climb (albeit briefer). 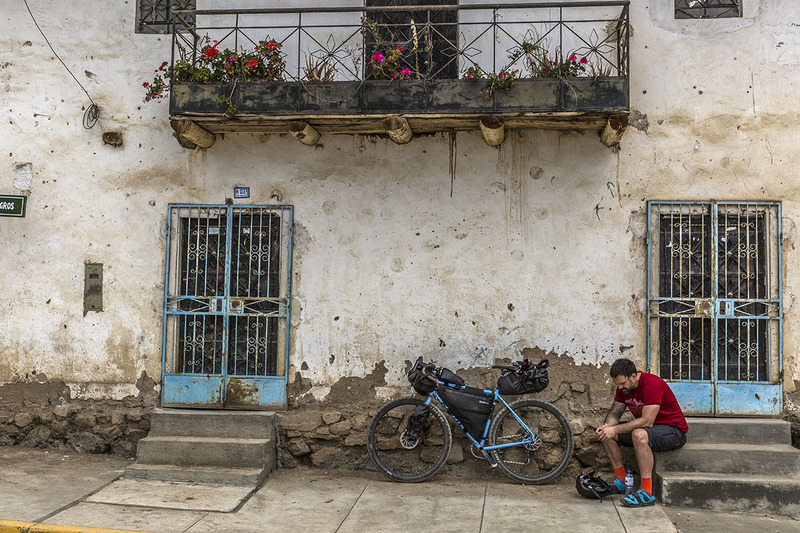 There are no notable places to camp on the ride down, so we decide to spend the night at a modest guesthouse in the beautiful Plaza des Armes of Chacas. Chacas itself is a picturesque town with adobe houses and terracotta roofs, and we enjoy exploring our new surroundings as we search for a meal. Food options are limited, though we do find a heaping plate of French fries to enjoy. For our main course, however, we dive into our freeze-dried food supply while keeping frisky kittens away from our camp stove, and reassuring the gracious guesthouse owners in broken Spanish and hand gestures that we are perfectly happy making our meal on our camping equipment. 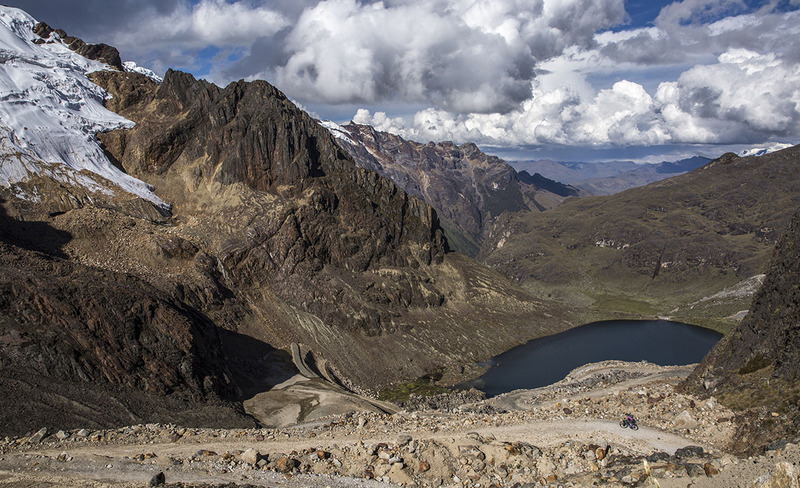 There are a few routes between Chacas to Yanama, but we opt for Pupash, a 13,400-foot pass. This route is almost entirely on gravel (the first six miles are paved) and takes us through the charming villages of Lluichush, Sapcha, and Wicrococha before continuing through beautiful wilderness en route to the pass. We are almost dissuaded from this route when a sign guards the steep gravel turn off, just past Acochaca. It reads no molestar, which we take to mean that we must not enter due to road construction. After a lively yet unintelligible discussion with a local wearing a full high-visibility jumpsuit, we are assured that we can indeed ride up the road, and that it will most likely take us to Yanama (we have since learned that no molestar means something along the lines of “do not disturb”). We thought this day of our trip would be a “travel” day and simply a means of getting between towns so that we could enter back into the beautiful high mountains. Instead, it is one of our favorite days, with a warm and fascinating glimpse into the lives of locals. We have not yet seen other gringos, and feel lucky to be off of the typical tourist path. This is the real Peru: the beautiful and ornate attire worn by the women is not for touristic effect, but merely a part of their daily lives. Campesinos tend their crops of potato and quinoa. Car traffic is almost non-existent, and instead we are stopped by herds of sheep, cows, and pigs that can run faster than we knew possible, dogs too sleepy to move, and children on breaks from school. Most of the children are excited to see us, while a few look a bit incredulous. Locals want to shake our hands and the sincerity is palpable. Everyone wants to be sure we know where we were going, and are happy to point us in the right direction when we are uncertain. There are options for camping between Wicrococha and Pupash, but we decide to push on over the pass to Yanama. The ride up to Pupash is a surprisingly pleasant grade, and only in the last few miles does it become steeper. There are markers every 300 feet or so, which adds to the sense of accomplishment and allows us to play a game of countdown. However, after playing a game of “how many more times around the track?” we are surprised when the pass appears earlier than we thought. This seems like an amazing gift, and a clear sign of how tired we are. A rough 5-mile gravel descent (through swarms of small bugs that seem to have a knack for aiming straight for the eyes) brings us to the beautiful town of Yanama. Here we splurge (120 soles—about $40) and stay in the pristine Andes Mountain Lodge with a beautiful view of Yanama and the surrounding mountains. Setting out on our fourth day, we are pleasantly surprised that the ride from Yanama to the pass, though 21 miles with over 4,000-feet of climbing, is on a decent gravel road. We read that it was bumpy and loose, but instead find ourselves riding on fairly well graded gravel. The climb passes Vaqueria, the trailhead for the popular Santa Cruz trek, and the only place where we see other gringos. The scenery becomes stunningly beautiful as it meanders through the valley and climbs towards Portacheulo de Llanganuco. Multiple lakes line the road and the views become layered with alpine hills and jagged glaciated peaks. Rain batters our helmets during this climb, but the moody clouds add to the scenery, and strengthen our resolve to push on despite numerous hidden camping spots. As we crest the pass, the rain showers threaten to worsen as a storm brews over the peaks of Huandoy. We pause to take a celebratory photo, and a Peruvian family stopping to admire the view takes interest in us. Who knew that a couple crazy Canadian cyclists could be far more exciting than these brilliant mountains! We indulge them by posing for dozens of photos, and I can’t help thinking that there is now a Peruvian family showing their friends pictures of us. When we began descending, we decide that we’d rather not be trapped by a storm at 14,000 feet, and plan to bypass the camping in the valley for the Llanganuca Mountain Lodge instead. Perhaps the road’s unexpectedly good conditions on our ascent created false optimism, but the ride down from the pass towards the picturesque turquoise Orgoncocha and Chinancocha Lakes is considerably worse than we anticipated. It’s bumpy and loose, and the 20-mile descent to Llanganuca Mountain Lodge takes us over two hours despite our well-equipped steeds. We are thankful that we are not on touring bikes with skinnier tires, though a full-suspension mountain bike would likely have been the best tool for this particular job. We finish exhausted after 10 hours of riding, and collapse in our tent at the lodge after having a hot meal. We wake to beautiful sunshine with views of the large mountain we circumnavigated. Hindsight is always 20/20, and if we were to do this day again, we would stop much earlier and camp on the east side of the pass amidst the multitude of little lakes, continuing the climb the following day. Experience has now taught us that the passes in general, and Portacheulo de Llanganuco in particular, tend to be clear the morning. The views from this pass are spectacular and best seen when the majestic Huandoy is not shrouded in clouds. 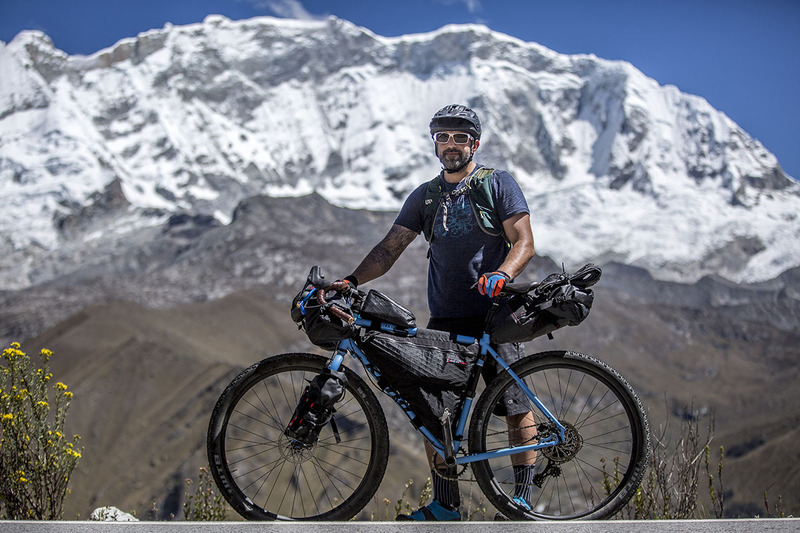 With 20 days in Peru, we planned to spend 5 days cycling and 10 days trekking, with a few days for rest and travel in between. 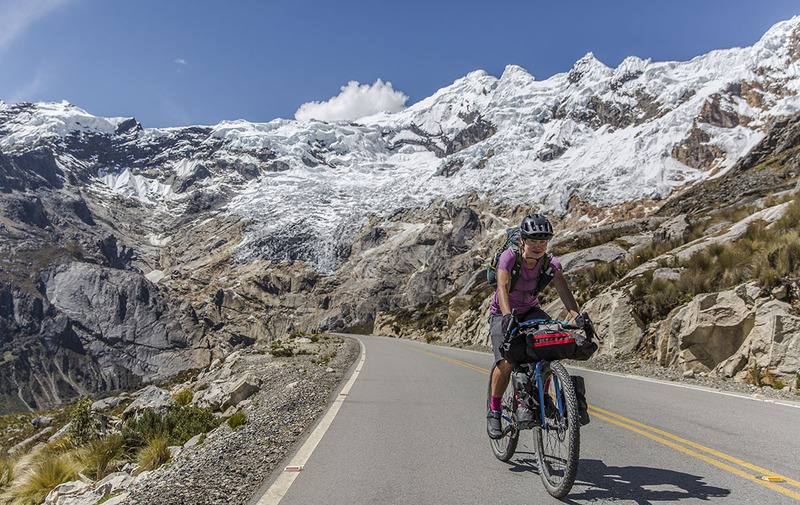 We decided we would bike among lower elevations in the Cordillera Blanca first—acclimatizing and trying out our gear in a more civilized environment—before heading to the remote Cordillera Huayhuash for a 10-day trek in higher elevations. Our bikepacking trip ended up lasting only four days; now, with hindsight on our side, we would do everything the same, with one exception—we would take more time. Our go-to guidebook recommends six or seven days to ride the circuit around Huascarán—for those not in a hurry, this amount of time would be lovely. The Huascarán Circuit truly is a bikepacker’s dream and deserves a spot at the top of every adventure cyclist’s to-do list. Below, we’ll outline the logistics, the route we travelled, and the gear we brought, as well as a few other things we think might be helpful. We flew into Lima, and opted to take a bus rather than connecting flight to Huaraz so that we could gradually acclimatize from our sea level home to the 10,000 feet of elevation. There are numerous bus companies (Movil Tours, Cruz del Sol, Olthusura) with comfortable buses between Lima and Huaraz (or Yungay). The ride is roughly eight hours, and we chose a night bus with beds on Movil Tours (they are the only bus company with 180 degree beds) for 110 soles. The airline charges by the pound for extra bags, which would add up in a hurry with bikes. The buses charge as well with seemingly no set rate—we paid 60 soles extra for our ride to Huaraz and 30 soles for our ride back to Lima. We met one tourist who had rented a car in Lima, but driving in Peru would take some serious nerves and we don’t recommend it. Taxis are reasonably priced, with two-hour rides costing around 60 to 100 soles. We took a taxi to Llanganuca Mountain Lodge from Huaraz as well as to the start of our ride in Carhuaz. Taxis also are a good way to get to/from trailheads for acclimatization hikes. The drivers are adept at driving station wagons and minivans with astounding skill and nonchalance on roads that most North Americans would hesitate to drive a 4WD vehicle. 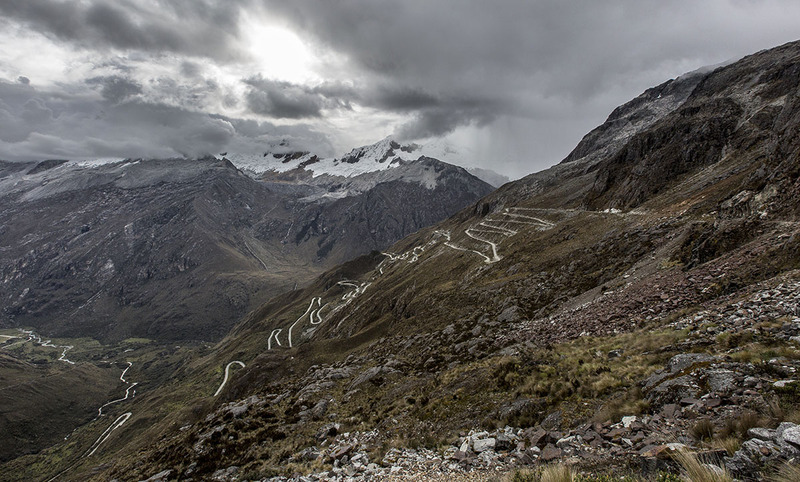 The Cordillera Blanca essentially separates two valleys—Callejon de Huaylas and Callejon de Conhucos—so the ride necessarily involves climbing from one valley to a mountain pass, descending to the other callejon (valley), and ascending yet another pass to return to the valley from which you started. The circuit can be done clockwise or counter-clockwise, and the start/finish really can be anywhere on the loop. When deciding which direction to travel and where to start, we considered a few factors: first, the road through one of the passes—Punta Olympica—is almost entirely paved, and the roads that ascend/descend from the other two passes (Pupash and Portachuelo de Llanganuco) are rough gravel. Secondly, the road that connects the towns in Callejon de Huaylas (Huaraz through Carhuaz to Yungay) has virtually no shoulder and is heavily trafficked with crazy drivers, ear-splitting honking, and clouds of exhaust. After chatting with locals who had us believing we’d be taking a risk by riding the heavily trafficked road, we loaded our bikes and bags into a dilapidated station wagon taxi and shuttled to Carhuaz where we began our journey, allowing us to avoid the shoulderless Carhuaz to Yungay stretch. We also decided to ride in a counter-clockwise direction so that we could ease into the expedition with a paved climb. 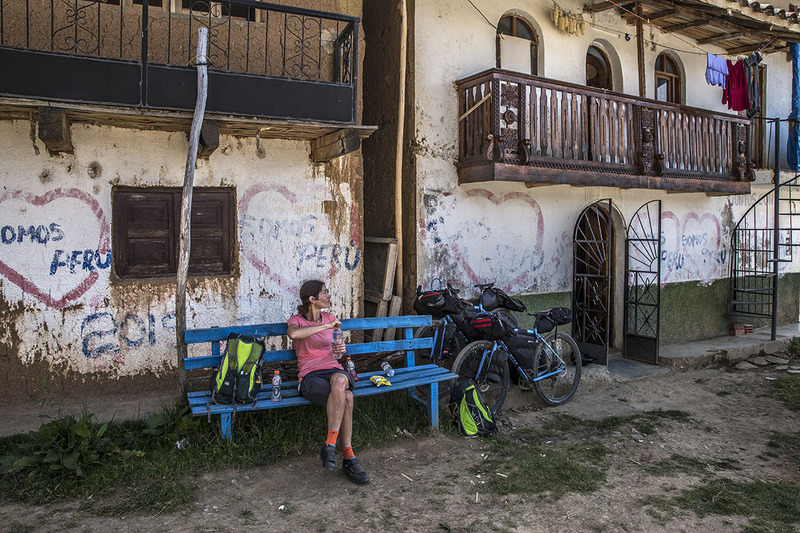 We planned to ride for five days, ending at the Llanganuca Mountain Lodge for some well-deserved luxury. By starting and finishing on the circuit, the route is 145 miles. 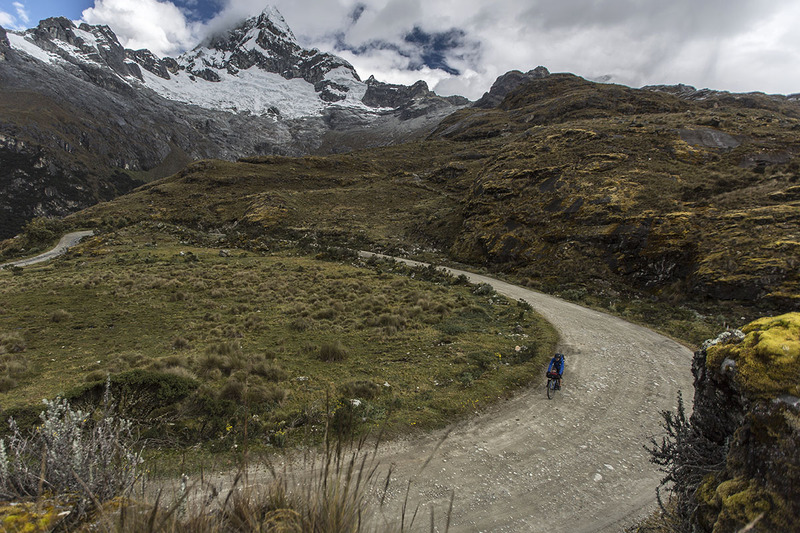 Starting and finishing in Huaraz adds 40 miles. As I wrote above, if we were to bike this route again, we would divide our last day into two, stopping east of the Portochuelo de Llanganuca pass to camp amidst the multitude of little lakes, and then continuing up and to the lodge the following day. We relied heavily on Peru’s Cordilleras Blanca and Huayhuash: The Hiking and Biking Guide by Neil and Harriet Pike. It has directions for almost every step of the way and we found it to be clear and helpful. Only once did it lead us astray (in the town of Sapcha, the directions said to turn left at the church in the Plaza. As we started descending rather than climbing, we stopped and asked locals who redirected us west of the church and uphill). This guidebook is not readily available in Peru, and we recommend purchasing it prior to leaving home. We also had Alpenvereinskarte’s Cordillera Blanca Nord, which is the best topographic map of the area. The map is available in Huaraz, but we’d recommend purchasing the guidebook in your home country. This is not an easy ride. The distances and climbing grades are pretty modest by most standards, but the altitude and relentlessly long ascents take their toll. We were cautious about pushing too hard at altitude and wanted to be sure our muscles always had enough oxygen. We took it easy on the climbs, and walked our bikes for short stints if we felt our legs get tired or our hearts were really working. In the end, it was harder than we thought it would be, but perfectly doable. Allowing a few more days would be helpful in terms of difficulty. Before and after our bike journey, we stayed at the wonderful Llanganuca Mountain Lodge. 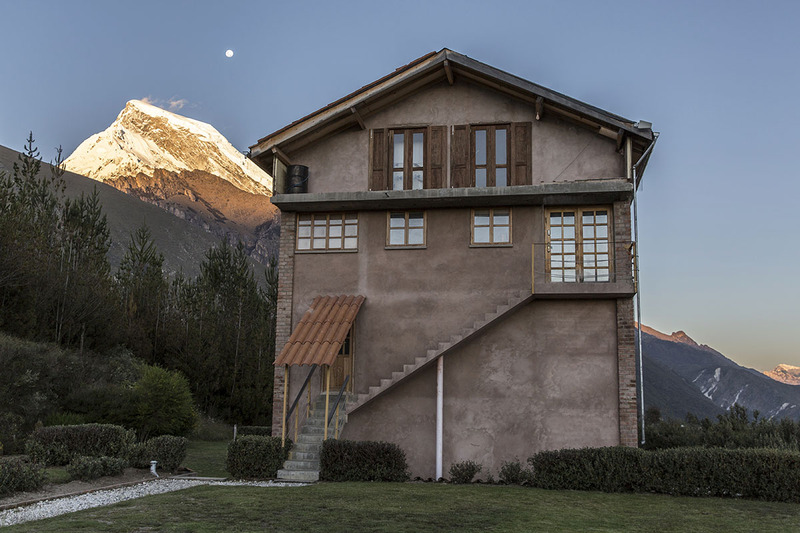 Situated at 11,500 feet between Yungay and Portacheulo llanganuco with stunning views of Huascaran and Huandoy, this was the perfect place to acclimatize. The energetic and friendly British owner, Charlie Good, has poured his heart and soul into the lodge, and it shows in every detail: from the meals and the décor, to the recycled water system and individualized taxi pick-up in Yungay or Huaraz. Not only that, but immediately upon arrival, Charlie quickly checks and records the blood oxygen levels of each guest before suggesting acclimatization hikes. For sea-level dwellers like us, this counsel provided a level of reassurance we had not anticipated. Breakfast, lunch, and dinner—prepped by aspiring chef Tito—are healthy, delicious, and filling, with breakfast served outside as the sun rises over Huandoy. The entire lodge is run by solar energy and the tap water is potable, a welcome luxury after obsessively filtering or treating water. We agreed that if we had not already eloped, Llanganuco Mountain Lodge would be our first choice for a wedding venue. It truly is a special spot and we are eager to go back. In Chacas: Hostal Asuncion – this is a very simple guesthouse in the Plaza des Armes with hot showers. In Yanama: Andes Lodge Peru – owned by a very friendly Peruvian couple, this guesthouse is immaculate and comfortable. Breakfast is included and they will happily provide dinner at a small cost. In Huaraz: Olaza’s – We stayed for a day in Huaraz before heading to the Llanganuco Mountain Lodge so that we could purchase fuel for our stove and last minute provisions for our trip. Olaza’s was perfect and comes with a lovely breakfast served on their rooftop terrace. We stayed there again after our bikepack but before our Huayhuash trek (next On Location: Cordillera Huayhuash)—they were extremely gracious and allowed us to store our bikes and extra bags during our trek. 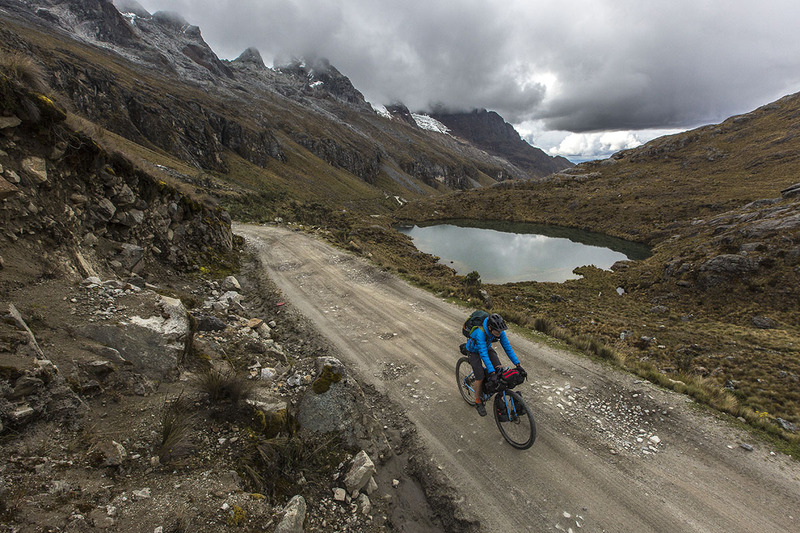 Biking in the Cordillera Blanca is demanding both on the rider and equipment, so it’s imperative to really dial in your gear list. A lot of touring bikes are well suited for the trip, but our Kona Sutra LTDs performed flawlessly. In terms of priorities, we would recommend mountain bike gearing with at least a 42-tooth cassette for the steep passes, disc brakes for the descents, and wide tires (ours were 2.1 inches). We had no mechanical issues, but it is important to bring all the bits and pieces to fix a bike at roadside. Don’t count on bike shops in Huaraz or along the circuit to have what you need, particularly if your tires are not 26 inches. For storage, we used frame, saddle, and handlebar bags from Revelate, mounted Salsa Anything cages and bags on the forks, and carried 20-liter daypacks for lightweight items. Clothing-wise, we wore bibs for all-day comfort. Keep in mind that altitude medication is a diuretic, so expect to pee more often than you normally would (for women, a bib like the Gore Xenon that zips open worked great for me). We had POC Tectal and Kali Maya helmets, and they checked off our priority list: comfortable padding, plenty of ventilation, and good coverage. You’ll be pushing your bike on occasion, so pick shoes that have grippy rubber for various surfaces and are comfortable enough to wear around town at the end of the day. Both our Shimano SH-ME700 and Giro Terraduros were excellent. In terms of a tent, we used the MSR Access 3. It drops well below freezing at night, so we were happy to have a lightweight 4-season tent as well as winter sleeping bags and pads. Our purifier also was incredibly key as water sources are heavily trafficked by livestock. We had the MSR Guardian and believe it kept us from getting sick. We highly recommend bringing a means to both filter and purify your water. For safety, we used a Garmin inReach. There is virtually no cell coverage or Wi-Fi in the Cordillera Blanca, so keep that in mind when choosing a GPS device. In terms of outerlayers and warmth, you can expect frequent precipitation and the temperatures drop quickly at night when the sun goes down. We each had an insulated down jacket (Feathered friends Eos & Mountain Hardwear Ghost Whisperer) along with a hardshell jacket (Arcteryx Alpha FL & Montane Spire) for water and wind protection. Be fit and prepared for the altitude. The first pass is over 16,000 feet. We spent three days acclimatizing and took Acetazolamide (goes by the trade name of Diamox) and did not suffer from altitude sickness. Altitude is a wild card though, so be sure to know the symptoms and always have a Plan B and C in case symptoms appear. Our Plan B was simply to turn around and spend another night at a lower altitude. Plan C was to take a taxi between two towns to make up for time spent further acclimatizing. We were lucky to be able to stick to our original plan, but altitude takes down many fit people. Bring dehydrated food from home if you want to have lightweight meals. It is almost impossible to purchase freeze-dried meals in Peru. Have cash, in small denominations of soles. ATMs, which are available in Huraraz and Carhuaz, but not in Chacas or Yanama, spit out 100 sol notes. You will not be able to make small purchases with bills this size. To put it in perspective, six breads (about the size of pita bread) cost one sol. Our night in Chacas cost 30 soles. Spanish will help, though many of the locals we encountered spoke Quecha, only limited Spanish, and no English. As Canadians, we do not learn Spanish in our school system, so felt that we were at a distinct disadvantage. I might not have ordered beef-lung stew for one of my first meals if my Spanish had been more honed! Get proper immunizations as recommended by a healthcare professional. We had the regular immunizations (Hep A, B, Typhoid, tetanus, measles/mumps/rubella), and thought about the rabies vaccine. The latter is quite expensive in Canada, and ultimately we decided against it. There are however many dogs, some of which are aggressive. 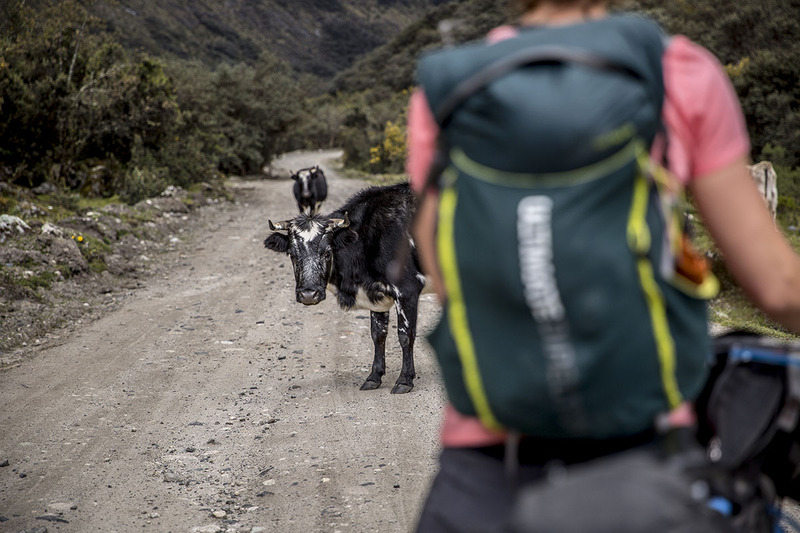 Typically a simple fake-throw of a rock dissuaded them, but we met a tourist from South Africa who had been bitten by a dog in Huaraz. Next time, we’ll get the rabies vaccine—if bitten, the treatment is far simpler if you’ve had the initial vaccinations. It gets dark, year round, at approximately 6pm. Plan accordingly.